Can We Dust Off Midnight Madonna (1937), I Think It's Been 37 Years! Can We Dust Off Midnight Madonna (1937), I Think It’s Been 37 Years! 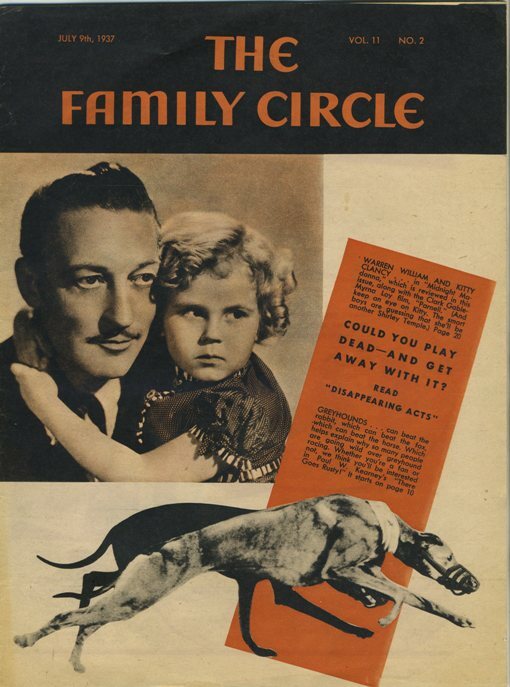 Originally I was just going to post what is a rare magazine cover appearance for Warren William, and yes, the first image here is Warren and child actress Kitty Clancy on the cover of the July 9, 1937 edition of The Family Circle Magazine, but then I noticed the film being reviewed inside this issue is 1937’s Midnight Madonna. I can just count the Warren William titles that I haven’t seen on one hand and this is one of them. In fact if you’re in my carefully chosen under-40 demographic you haven’t seen it either. But it’s out there … somewhere. I’ve always believed that Midnight Madonna fell in between the two extremes of out-of-print and Lost. It has no ratings on the IMDb. So before I wrote anything about it I opened up my AFI catalog and was somewhat surprised to see their summary accompanied by the notation Print viewed. Hmm, it exists. I noticed that the IMDb had something under their Trivia link on the film page and it was there I discovered that Midnight Madonna, originally an Emanuel Cohen Production (as were other Warren William films Go West Young Man (1936) and Outcast (1936), and just 8 other films, ever!) distributed by Paramount, was “One of over 700 Paramount Productions, filmed between 1929 and 1949, which were sold to MCA/Universal in 1958 for television distribution, and have been owned and controlled by Universal ever since.” It definitely exists! And I know TCM dusts some of those 700 off now and again, heck some even gain DVD release, so it’s nice to know that the possibility of a Midnight Madonna viewing could exist going forward. My next step was the one I found most interesting. I use NewspaperArchive.com a lot for research, and while the site doesn’t carry archives of the biggest papers it does carry a huge number of local listings. From past experience I’ve learned to sort out post-1950 or so listings regarding classic film stars because very often the search fills up with 1950’s-80’s television airings of their films. This time I sorted from 1950 to present and searched specifically for Midnight Madonna. There were 61 results, less if you discount references to sentences ending with the word midnight followed by sentences beginning with the word Madonna (Such as: “… midnight. Madonna …”). They’re kind of common both in newspapers and Google since the mid-80’s or so as you might imagine. 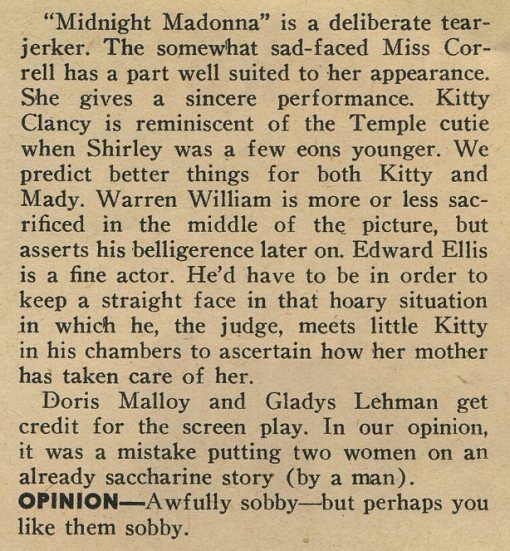 What I discovered that our Warren William film, Midnight Madonna, aired quite commonly in cities across America throughout the 1960’s, often as part of a Late, Late Show type programming. It seemed to make its way throughout the U.S. one last time in the summer of 1971 before receiving a couple of random airings in 1973 only to never be mentioned again ever since. I guess here’s why I’m obsessing over this obscure film that Family Circle gives a decent review before eventually labeling it: “Awfully sobby–but perhaps you like them sobby”–shoot, Warren’s character is named Blackie Denbo, it’s got to be kind of good, no? ; even with the existence of TCM, many a classic movie was easier to see, well, in classic times. I’m just old enough to remember having a black & white TV controlled by rabbit ears and as it was just an old box my parents let me keep in my room (my first TV!). I was likely among the last in my age group who can claim this! I do remember some fun programming but I was really just too young in the late 70’s to go looking for the good stuff. At the same time when I mention a old film title to my Dad, whether obscure or semi-classic, and he says, “Oh, I must have seen that on TV 83 times,” I’m always kind of flabbergasted. I’m constantly amazed that with 3-7 channels to choose from, most of which went off the air at some point overnight, there was that kind of choice available. I guess that doesn’t say much for the volume of original programming, though as we all know much of the quality of that same limited programming was quite high. 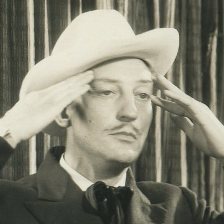 I remembered how astonished I was when newly restored prints of old movies started being shown on TV and I suddenly realized that all those old black and white movies had originally had pictures as crisply and sharply defined as those in any brand-new film. I had always thought that their muddy, murky quality was part of the “atmosphere” that all the filmmakers of those days were aiming for! Not the kind of helpful memory you were looking for, but the first thing that comes to my bedraggled mind.